In the spotlight today? 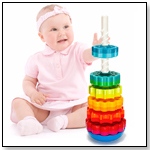 Customers will think your store is great when you carry Oblo Puzzle Spheres from GREAT CIRCLE WORKS INC. 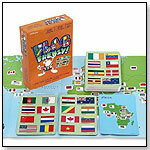 Flag Frenzy is a fast-paced card game where players race to match flags from countries around the world. 49 cards have 8 flags each, and every card has one flag in common with every other card. The goal is to find the matching flags before the opponents do, and be the first to match all the cards. Continent cards add to the fun, as players must match a flag to one of four continents (Europe, Asia, Americas, and Africa). And a bonus world map is included, showing all flags and where the countries are located. Contents: 49 flag cards, 8 continent cards, rules, world map. Inventor: Martin Nedergaard Anderson. Animated Gallop Scanimation Lamp by EYE THINK INC.
Other products from EYE THINK INC.
Comes with 9 inserts, and up to 6 can be displayed at a time. 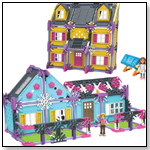 Rotates on it's own, makes a great nightlight or children's room decor item. There's a party tonight, and the players have been asked to bring the cupcakes. Be the first player to mix, bake, frost, and top the cupcake by visiting all 4 corners, and collect sprinkles along the way. 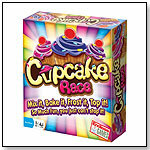 The first player to reach the part with a completed cupcake and a sprinkle of each color wings the cherry to put on top. Launch date: June 2012.